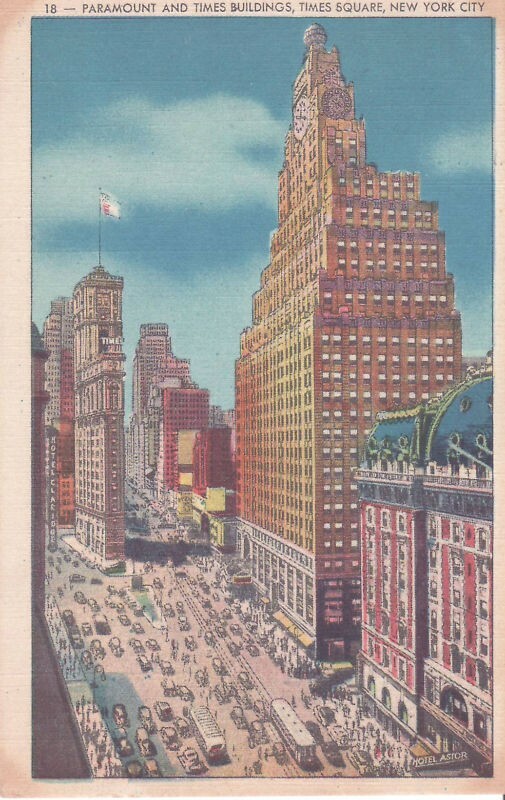 The Paramount Building (and Times Square Paramount Theatre) was built at a total cost of 18 million dollars by The Famous Players-Lasky Corporation as Paramount Pictures new corporate headquarters office and theatre building in the heart of Times Square. 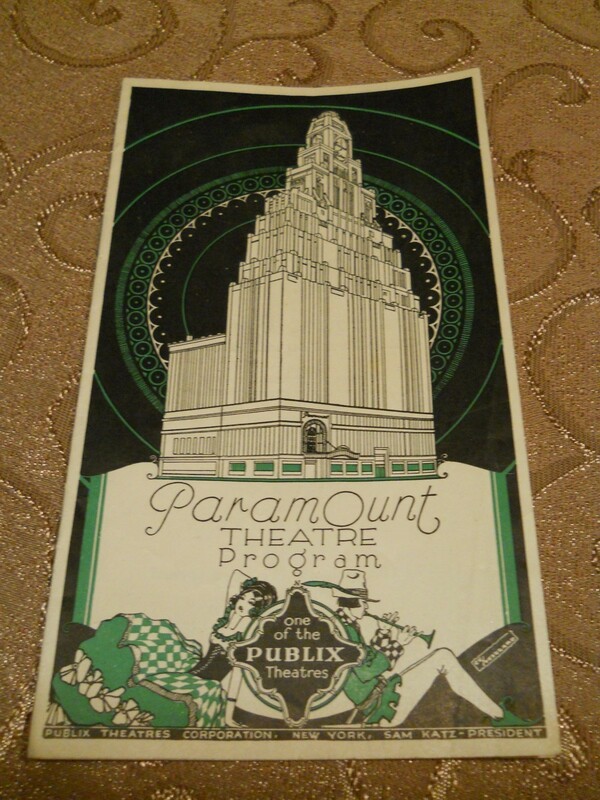 The theatre portion of the thirty-five story structure opened on November 19, 1926. Paramount Pictures keystone theatre, The Times Square Paramount Theatre, known as “The World’s Finest Theatre” formed the nucleus of the immense structure on Broadway between forty-third and forty-fourth streets in Times Square. The entire structure, completed in a record breaking twelve months using three eight hour shifts, was designed by Rapp and Rapp Architects of Chicago and built on the site of the former Putnam Building. 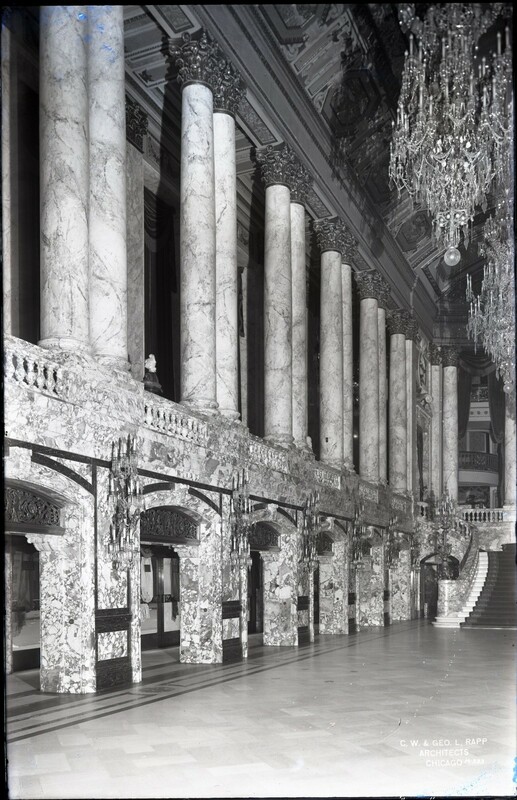 Grell was commissioned to paint a 125 foot long mural panel titled ”The Spirit of Light,” which adorned the ceiling inside the Grand Hall entrance of the Italian marble lined entrance. So much marble was required for this structure that an Italian mine closed for forty years, was reopened to accommodate the project. The hall was aptly designed after the Paris Opera house and was inspired by Grell’s travels to France and Italy from 1910-1914. How much influence Grell actually had on the designs of each space may never be known. 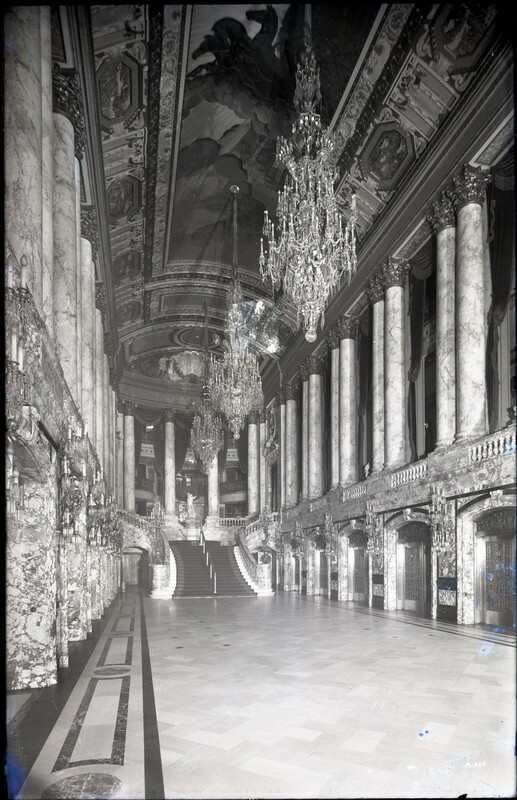 The Grand Hall was 150 feet long, 45 feet wide and 50 feet tall. 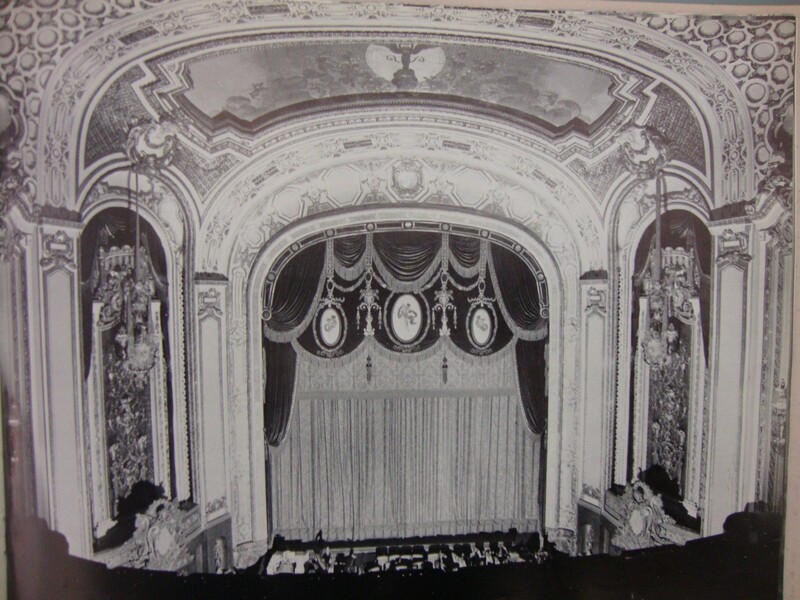 Designed and influenced by the French Renaissance period, the theatre had a total of 25 separate rooms and spaces adding to the overall comfort of the patron. 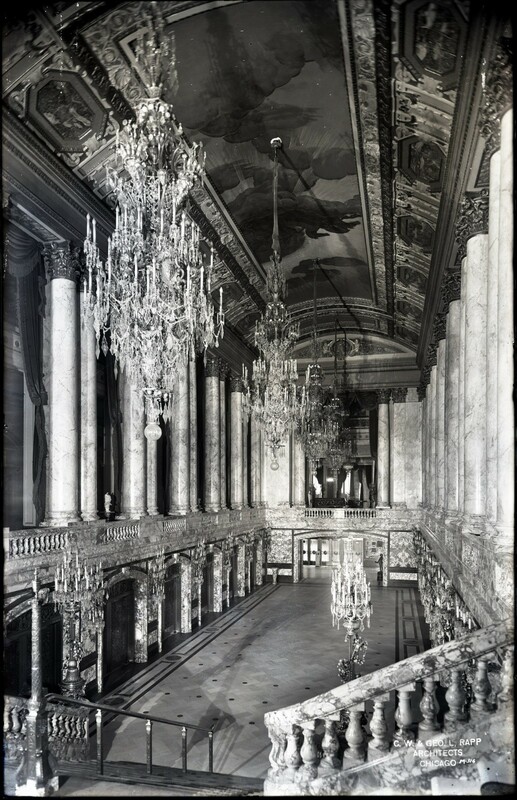 The Grand Hall and the auditorium were the most significant rooms in the theatre. 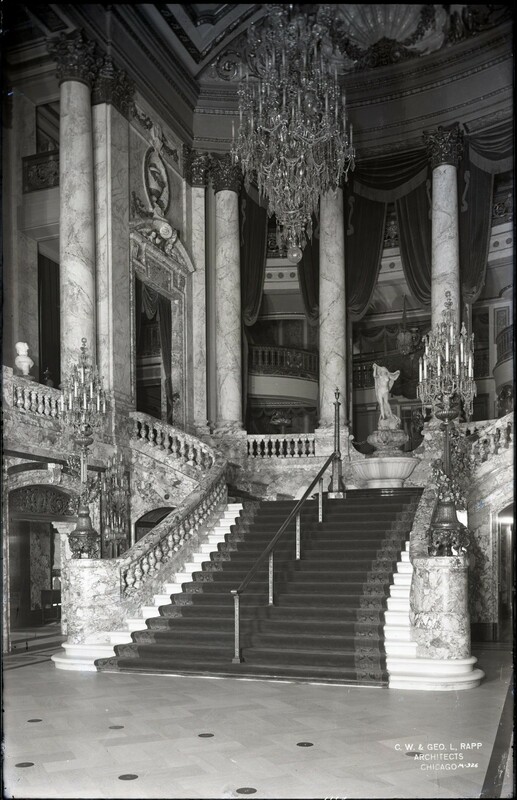 As seen in the Grand Hall photograph, at the opposite end of the entrance on Broadway, was a stairway of marble leading up to the mezzanine level, where most of the theaters social clubs were located. 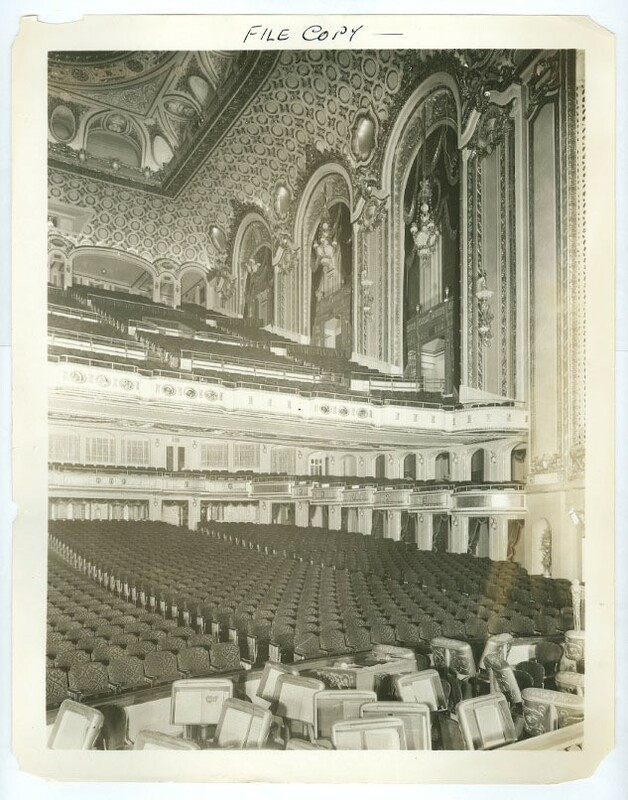 Grell was also commissioned to paint a large gilded mural above the proscenium arch inside the auditorium similar to the one designed and painted by his close friend, Charles Halloway, inside the Auditorium Theatre in Chicago. This large mural represents an approximate 15 foot tall by 45 foot wide production. It appears from all of the noted research that Grell had numerous commissions under the same roof, which was common throughout his productive 55 year art career. In the basement of the theatre, directly below the auditorium and Grand Hall, was the main lounge called the Elizabethan room, a ladies lounge/smoking room next to a men’s smoking room. 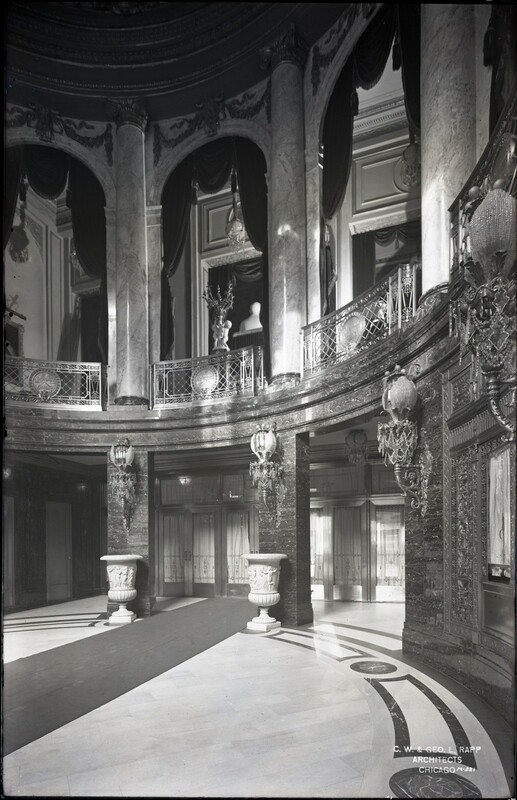 On the mezzanine level, comfort spaces were designed into the theatre to provide the patron with the most pleasing experience available at the time. 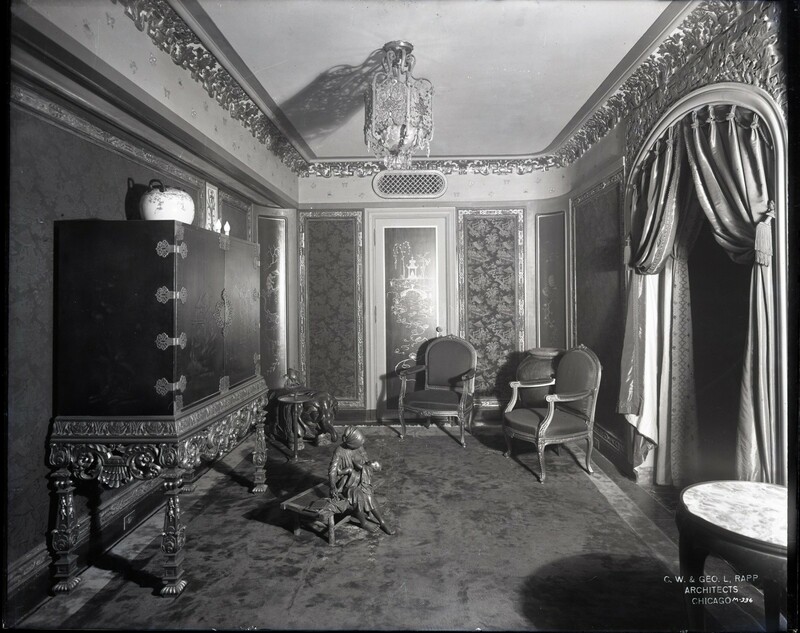 These rooms included additional smoking and rest lounges named: The Marie Antoinette Room, Chinoiserie, College, Jade, Club, Galleries, Peacock Alley, Hall of Nations, Rotunda, Music and Fraternity rooms. The College, Club and Fraternity rooms were decorated with each clubs respective insignia and colors. 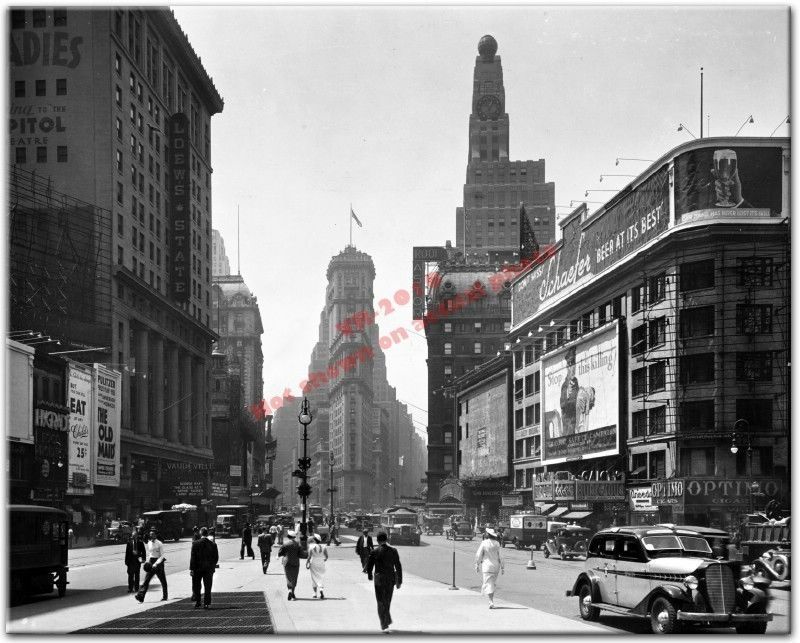 The Times Square Paramount was known as one of the finest art buildings in the entire world with a reported 50% of the overall wall space of the promenades, lounges and rest areas adorned with the finest American artwork. 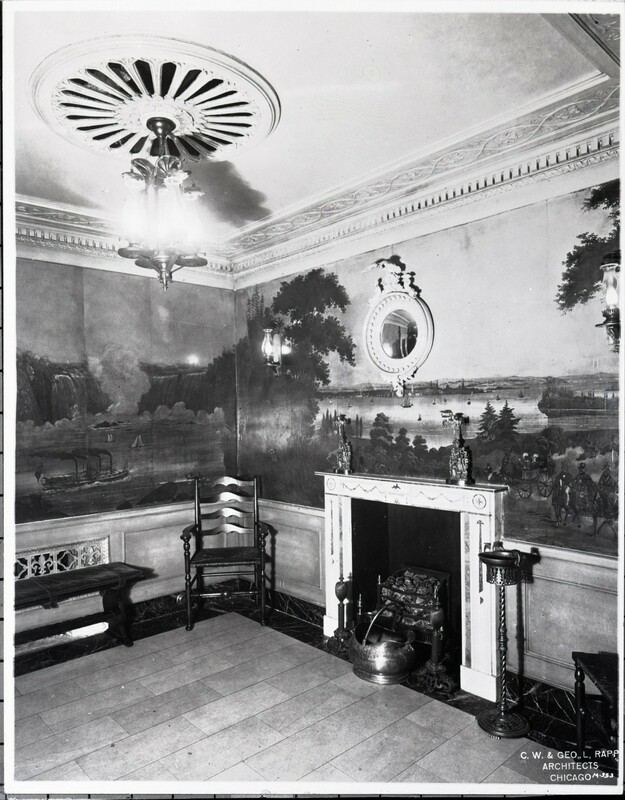 The American Themed lounge was decorated and painted by Grell as part of his commissioned work throughout the theatre. 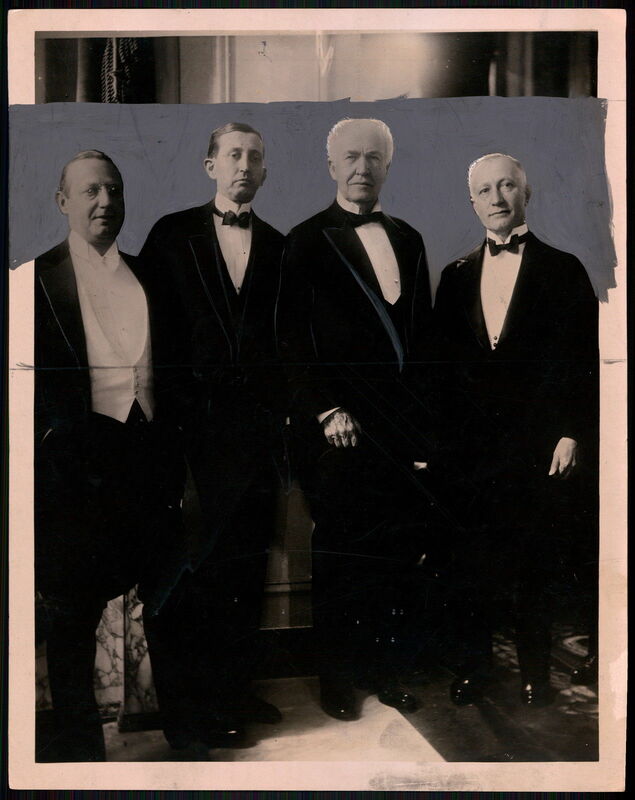 The opening festivities held on November 19, 1926 was a who’s who of elite New York City special guests including New York City Mayor James J. Walker, organist Jessie Crawford, inventor Thomas Edison, Adolph Zukor, Jessie Lansky and many others. 30,000 patrons packed the “World’s Finest Theatre” over the first two days spending $30,200 as part of the record breaking box office opening week engagement. “God Gave Me Twenty Cents” was the featured film on opening night and was produced by Paramount Pictures. 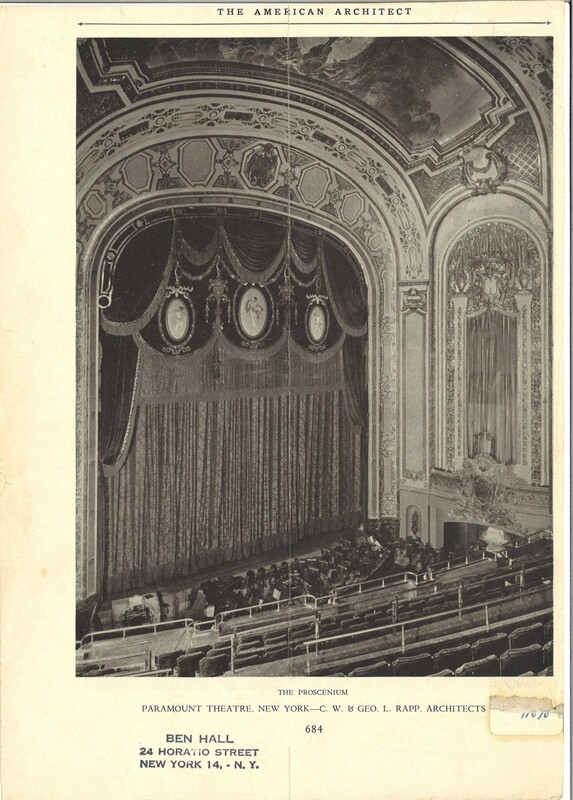 The original opening evening program listed noted artist Reginald Marsh (1898-1954) as the period scene set designer who would have only been twenty-nine years old at the time of the grand opening. 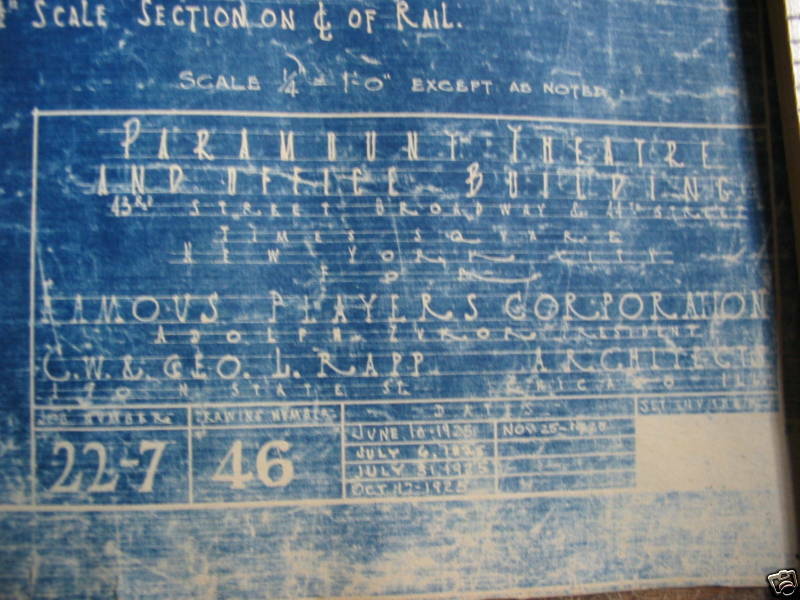 Live radio broadcasts were produced each evening airing the music conducted by the 70 piece orchestra to entice those not in attendance to attend a future show. In an interview and tour published in the New York Times on November 14, 1926 just days before the grand opening, Harold B. Franklin, vice president of the Publix Theatres Corporation and chairman of the Paramount Building committee, pointed out interesting and innovative aspects of the almost completed “World’s Finest Theatre” making special note of the Grand Hall ceiling panel titled “Spirit of Light” by Louis Grell. On the same walking tour, Mr. Franklin pointed out the organ screens made of crystal on which a “tree of life” was designed into each organ grill cover. Mr. Franklin also made special note of a bronze bust statute of Aldolph Zukor composed by artist Jo Davidson. In all, some 56 oil paintings by important American artists were hung on the walls of the theatre. 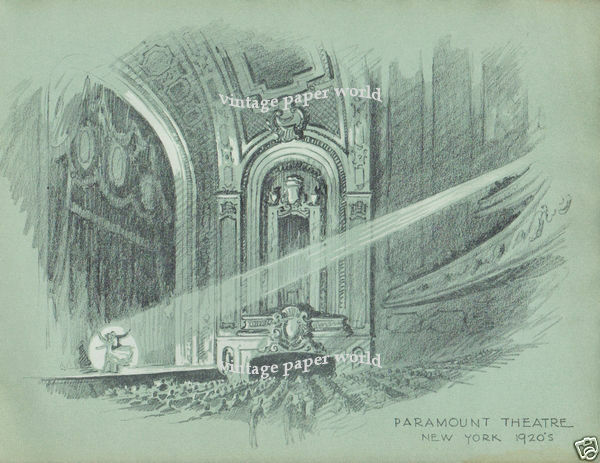 The Times Square Paramount is the only known theatre, of the approximate 400, large and small, that Rapp designed which included an American themed lounge incorporated into the design. The Times Square Paramount is of the finest example in spatial design by Rapp and Rapp. The Hall of Nations was designed with stones displayed from all the countries that Famous-Players Lasky conducted business within and were typically donated to the project by high ranking officials of each nation. Black & white images courtesy American Theatre Architecture Archive, Theatre Historical Society of America.